The title of this article is truer than the reader knows. I first met Elizabeth Marro – “Betsy” – while we were walking our dogs down the streets of Ocean Beach. As dog owners are wont to do, we began talking and I found out that she was an author; was aware of some of my articles for the OB Rag. She told me she was writing a book, and I offered to read it for her when she was finished with it. It wasn’t long after that that she sent me her draft, and I loved it. I told her that when it was ready for publication to let me know and I’d do a review of it for her and was anxious to see if she had made any changes. It starts out in Ocean Beach; Ruth Nolan is an executive for a very successful military defense contractor that is appalled when she finds out that her troubled son, Robbie, has enlisted in the Marine Corps. When he returns home after his second deployment from Iraq physically unscathed, she breathes a sigh of relief. She is not aware that Robbie did not go directly home to San Diego; his emotional issues held him back and he was searching for solace among areas that he felt comfortable with in the past. When he finally returns home, Ruth feels like she has a chance to made amends with Robbie, but a scandal erupts at work and she is unable to meet him for the reunion she has been looking forward to for so long. She tries to get out of the meeting at work and meet Robbie for lunch, but her boss insists that she attend the meeting. By the time she arrives home at night Robbie is gone. Robbie has become another statistic of military suicides. Without giving much thought to her next step, Ruth packs up Robbie’s ashes and drives east, heading away from her guilt and regret. But as she gets closer to her destination she meets one problem after another, and the closer she gets to the coast where she was born, her demons continue to pursue her. She realizes that she will have to face them, and confront the painful truth about her past, her choices, the war. The heart wrenching story has so much truth to it, from the deployment of Robbie, to the military contractors; to the part that greed plays in our lives; to parent-child relationships. I enjoyed the book as much the second time as the first, and recommend it highly, not only to Ocean Beach inhabitants, but to everyone that is concerned with the wars of the middle east, the lack of follow-up medical treatment for our returning service people, and for the monies generated to less than honest contractors. CASUALTIES was a finalist for the 2014 San Diego Book Awards Association Contest under the category of unpublished novel. 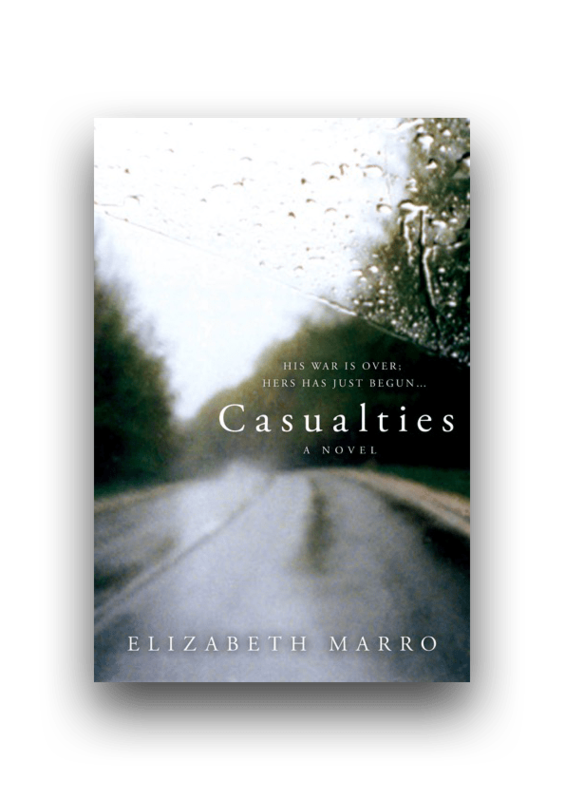 Elizabeth Marro’s work has appeared in The San Diego Reader, The Gloucester Daily Times, LiteraryMama.com, and elsewhere. 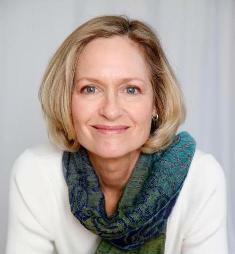 A long-time resident of the “North Country” region of New Hampshire, she holds degrees from the University of New Hampshire and Rutgers University, and now lives in San Diego. Casualties is her debut novel. Read more about her at her website. Didn’t you get the memo about warning one’s readers about spoilers? I agree, it sounds like a great read. But you did spoil it by telling us Robbie commits suicide. I thought of that while writing the review, Ro, but felt that it was an integral part of the story. It’s so very, very easy to criticize. But my first thought of your review; was “she’s telling toooo much; feel the same way about a lot of movie reviews and especially wiki reviews. One needs to be like Sally Rand, the fan dancer, and just show a little bit. Nevertheless you are still my very very favorite journalist Ms. Curry. Give ’em hell! Thanks for your comments, Cholly. I wondered as I was writing the review if I was writing too much. After all, I was an English teacher and had my students write book reports so often that wanted the writer to entice the reader. “Casualties” has so much going for it; what I reported is only a small part of the story. After you read the book, let me know if you still feel I wrote too much. Thanks for the positive comments also. Happy New Year.